Forget the Botox, injections, and expensive anti-aging creams. You can look younger naturally (and with a lower price tag) by eating foods that fight aging. That’s right – Mother Nature didn’t leave us hanging when it comes to preventing fine lines and wrinkles. 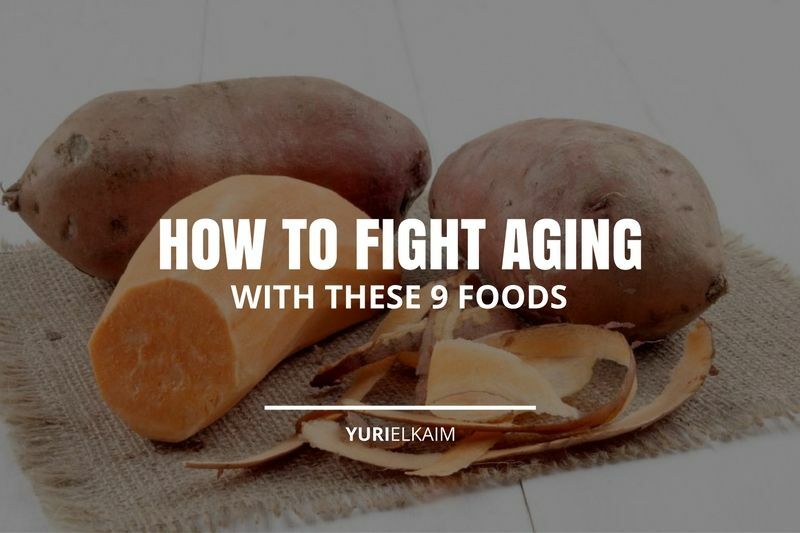 In fact, you probably already have a few of the best foods that fight aging in your kitchen right now. And if you have any doubts that what you eat affects your aging process more than pricey creams or chemical peels, let’s take a look at what accelerates aging in the first place. Foods that fight aging contain nutrients that feed your body at a cellular level. Improving and supporting your cellular health is the only way to truly fight signs of aging. Since your entire body is made up of trillions of tiny cells, keeping them healthy equals having a healthier body. Healthy cells directly translate to a more youthful appearance, and other factors that can make you feel younger, such as plenty of energy and a strong immune system. Our cells naturally repair and regenerate roughly every 24 hours. But as we get older, our body produces fewer of the “materials” our cells need to regenerate, such as the nucleic acids, RNA and DNA (1). We’re also constantly being exposed to cell-destroying toxins from our environment via our food and water supply, body care products, household cleaning products, and even the air we breathe. These toxins get absorbed through our bloodstream and can turn into free radicals when they enter our bodies. Free radicals are carcinogenic toxins that destroy the protein, DNA, and membranes of our cells. They also accelerate the aging process and contribute to illness and disease (2). Certain foods can also damage our cellular health, speeding up the aging process – which is why it’s equally as important to be aware of foods that age you, in addition to the foods that fight aging. Incorporating these nutrition tips into your lifestyle will not only help you feel better, but look better too! If you’ve read any of my previous blog posts, you know I’m all about leaving wheat out of your diet for many reasons, especially if you want to fight signs of aging. 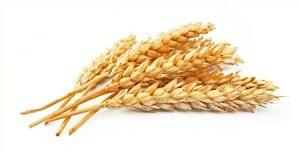 You see, modern-day wheat is no longer the same health food it was when our grandparents ate it. Instead, most of the wheat we have in our diets is now a hybridized version of whole wheat, which has been shown to cause rapid fluctuations in blood sugar levels. When your blood sugar levels spike and crash, your body releases a hormone called IGF-1, or insulin growth factor 1. IGF-1 has been linked to accelerating aging by promoting skin problems and various forms of cancer (3). If that’s not enough to make you think twice about eating wheat, it can also speed up the aging process by producing substances during digestion called Advanced Glycation End Products (AGEs). AGEs are released when your blood sugar levels spike (4). And how ironic: AGEs have also been shown to contribute to the aging process (5). Instead of eating wheat, I highly recommend switching to gluten-free whole grains such as buckwheat, brown rice, and quinoa, which is actually more of a seed (and tastes great in this 5 Ingredient Black Bean Quinoa Burger Recipe). Unprocessed gluten-free grains are high in fiber, which means they help stabilize blood sugar levels rather than spike them, and therefore avoid the release of IGF-1. These gluten-free alternatives to wheat also contain more plant-based protein, which helps prevent the muscle loss that occurs naturally with age. Similar to modern-day wheat, refined sugar shouldn’t even be considered a food. 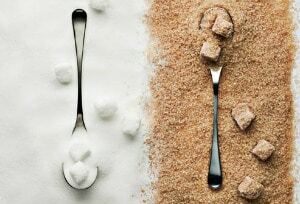 Refined sugar destroys your blood sugar levels by causing rapid spikes and crashes, which as you now know, triggers the release of the age-promoting hormone, IGF-1. White sugar is notorious for causing acne and worsening the overall appearance of your skin, as well as increasing your risk for type 2 diabetes, obesity, heart disease, dementia, and pretty much everything else. The best alternatives to white sugar are natural, plant-based sweeteners that don’t have wreak havoc on your blood sugar levels. If you can’t go without the sweet, try replacing white sugar with green leaf stevia or xylitol. Thanks to Monsanto, the majority of corn we have access to today is genetically modified. And while genetically modified food hasn’t been around for long enough to determine all of the negative health consequences involved, GMOs have been shown to increase IGF-1 production and promote the growth of cancer cells in studies done on rats (6). 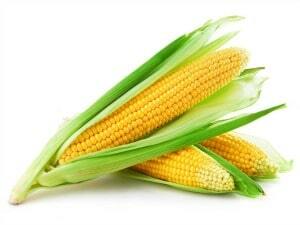 Sadly, GMO corn is found in literally everything when it comes to processed foods. From high fructose corn syrup (HFCS), corn cereals, chips and granola bars, it’s impossible to avoid GMO corn when you eat “food” that comes from a box, or drink soda and sugary juices. HFCS is particularly concerning, as it causes 10 times the amount of AGEs in your body than regular glucose from white sugar. In fact, consuming high fructose corn syrup is like an open invitation for cellular damage that can cause wrinkles and memory loss. So, based on the potential cellular damage GMO corn has been shown to cause, it’s another food you’ll want to leave out of your diet to prevent signs of aging. The saying “too much of a good thing is never a good thing” is a good way to describe the effect omega 6 essential fatty acids has on the body. You need omega 6 essential fatty acids for growth, development, and cognitive function. But they naturally promote inflammation in the body. And inflammation is linked not only to accelerated aging, but basically every disease known to man. Omega 6 vegetable oils include canola, soybean, safflower, and sunflower oils, just to name a few. Vegetable oils are the most common sources of omega 6s in our diets because they’re the primary cooking oil used in restaurants and fast food chains, and are found in nearly every packaged or processed food. Omega 6 vegetable oils take their deadly impact one step further, as they’re heavily processed with toxic chemicals that destroy cells and also contribute to aging. 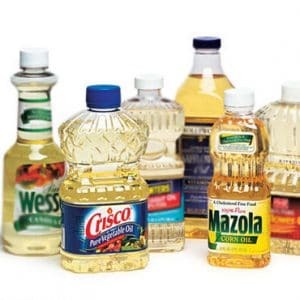 Many of these vegetable oils are also GMO, especially canola and soybean oil (7). It’s best to replace omega 6 vegetable oils with healthy fats that are higher in omega 3 essential fatty acids. This is because omega 3s have the opposite effect of omega 6s on the body, and act as a natural anti-inflammatory. Here’s a list of healthier cooking oils I recommend you use. Alcohol is highly concentrated in sugar. And since I’ve already given you the rundown on how sugar ages you above, I won’t go into too much detail here. But it should be noted that consuming too much alcohol can also contribute to aging by causing serious inflammation and oxidative stress on your liver (8). Since your liver has the important job of detoxifying harmful chemicals from your body, compromising your liver function with too much alcohol can speed up the aging process faster than you can blink. Now of course, having the occasional glass of wine or dirty vodka martini isn’t the end of the world. But keeping your alcohol intake to a minimum (2 to 3 drinks per week) will be less of a burden on your liver, and therefore prevent accelerated aging. If you do drink alcohol, the best alcohol choices are clear spirits that are lower in sugar, such as vodka or gin. You’ll also want to avoid mixing alcohol with sugary beverages such as juice or soda. Instead, opting for sparkling or still water with a few lemon or lime wedges for flavor will help keep you hydrated while consuming alcohol, and add a boost of vitamin C for your liver. Now that you understand which foods contribute to aging, let’s take a look at what to eat to fight signs of aging. Berries are an anti-aging superfood because they’re high in several nutrients that help promote cellular health, such as vitamin C and flavonoids. The antioxidants found in berries help protect cells against damage, and act as a natural anti-inflammatory. 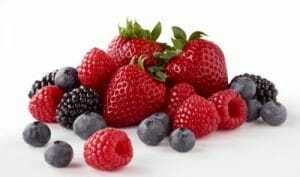 The flavonoids found in berries have also been shown to improve cognitive function and memory in older adults (9). Berries are an excellent source of fiber, which helps promote natural detoxification and elimination of the toxins that speed up signs of aging. 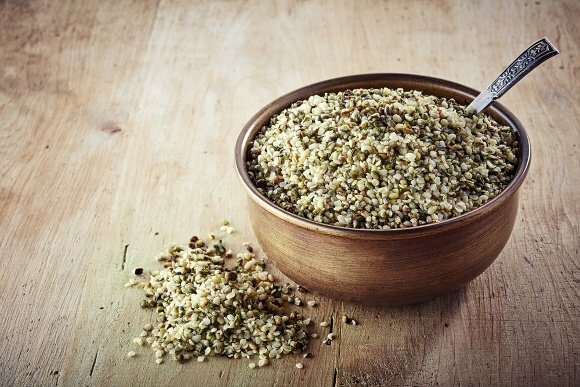 Hemp hearts are an amazing anti-aging food because they’re rich in omega 3 essential fatty acids. And as you now understand, omega 3s act as a natural anti-inflammatory to help protect the body against all forms of disease. Omega 3 essential fatty acids also help promote memory, cognitive function and brighter, youthful looking skin. Omega 3s have also been shown to protect the liver against liver disease, and the damage that can be caused by inflammation. 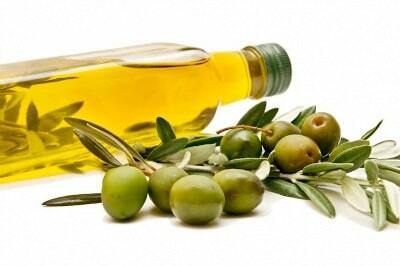 Unlike the omega 6 vegetable oils we previously discussed, extra virgin olive oil can actually prevent signs of aging. This is because olive oil contains healthy fats that nourish the skin and cell membranes, and phytonutrients such as oleocanthal, which help prevent cellular damage and inflammation (10). Also, olive oil is minimally processed, which doesn’t come with the added exposure to toxins. The anti-aging benefits of olive oil have also been recognized as a cost efficient, topical skin care treatment. In fact, many Mediterranean women swear by applying extra virgin olive oil on their face each night before bed to prevent fine lines and wrinkles. 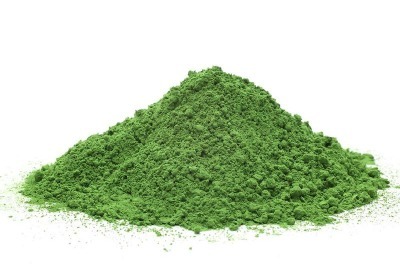 Chlorella is a single-celled green algae that contains a special anti-aging nutrient that isn’t found in any other food. This nutrient is called chlorella growth factor, or CGF. CGF is known for being the ultimate nutrient for cellular repair and regeneration. This is because it contains nutrients specific to cellular health, such as the nucleic acids RNA and DNA. RNA and DNA contain the “blueprints” or instructions that your cells must follow to perform their functions. But as you get older, your body’s ability to naturally produce RNA and DNA declines. This is why receiving RNA and DNA from a dietary source such as chlorella can be beneficial for preventing aging. Sweet potatoes are rich in beta-carotene, the antioxidant form of vitamin A, which we know as the nutrient for healthy eyesight. But beta carotene does more than just prevent you from needing specs. 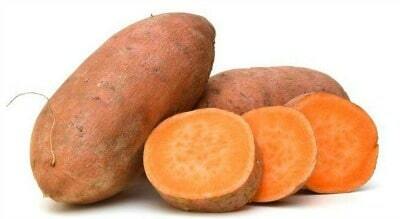 Beta carotene helps boost your immune system by activating your thymus gland. The thymus gland works closely with the immune system to fight off cancer cells and other harmful pathogens that can destroy your cellular health. I bet you’re beginning to see a pattern here: the best foods that fight aging promote cellular health by containing anti-inflammatory nutrients and antioxidants. Sweet potatoes also contain other types of antioxidants such as carotenoids, which further protect against cellular damage. If you’re not a sweet potato fan, you can get beta carotene from other plant-based sources, such as carrots, chlorella and kale. 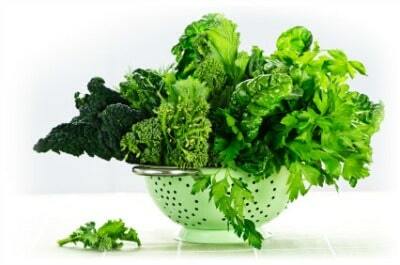 It’s no secret that dark leafy greens are one of the most nutritious foods on the planet. And that’s because they contain several antioxidant nutrients that improve cellular health, such as vitamin C, beta-carotene and zinc. And while dark leafy greens do wonders for the health of your internal organs, they also have quick-acting beauty benefits that can help your skin glow and look younger. In fact, if you add a green smoothie to your routine each day, I’m willing to bet that you’ll experience a difference in the brightness and texture of your skin, which can make you appear years younger. 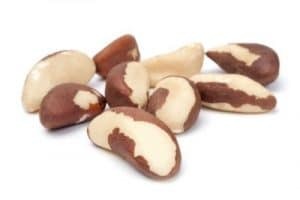 Brazil nuts are rich in selenium, which is a mineral that helps promote the health of cell membranes and speed up wound healing, which naturally slows down with age. Selenium also acts as an antioxidant, and is believed to be extra powerful for cell protection when combined with vitamin E (11). Selenium is also an essential nutrient for healthy thyroid function. Low thyroid function (hypothyroidism) can occur at any age, but is said to be most prevalent past the age of 60. What you eat plays a huge role in how you age. And while cutting out aging foods and replacing them with foods that restore vitality is key, it’s it’s also important to consider lifestyle factors that can age you quickly. And basically, that boils down to stress, lack of exercise, and inadequate sleep. Putting together a blueprint for maintaining youth and longevity requires a healthy diet and a balanced lifestyle that prioritizes your mental and emotional well-being. Restore your energy, beat sugar cravings and drop belly bloat – in just one day! Yes, it’s possible, with my FREE 1-Day Detox plan. It’s not about deprivation, it’s about eating mouthwatering “cleansing” meals that feed your body what it craves! You can get the full detox plan right now by clicking the banner below.